Earn $4.22 in VIP credit (422 points)What's This? 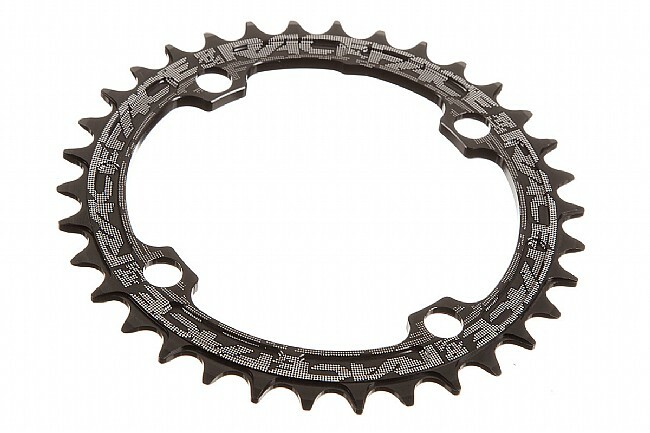 The Race Face Narrow Wide Chainring is the latest line of defense in the battle against dropped chains. With single chainring setups becoming increasingly popular, using a narrow wide style ring in conjunction with a clutched rear derailleur can, in many cases, eliminate the need for a chain keeper. Race Face's Narrow Wide Chainrings deliver this retention with their specific tooth design. 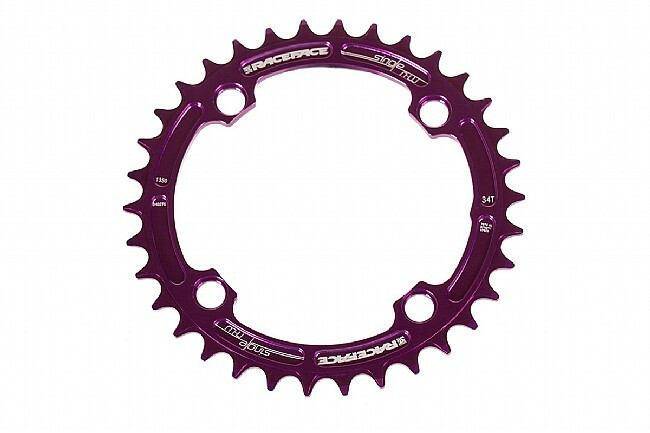 Machined from 7075 Aluminum, they are built to handle the punishment of mountain biking, but are still light enough for race duty. 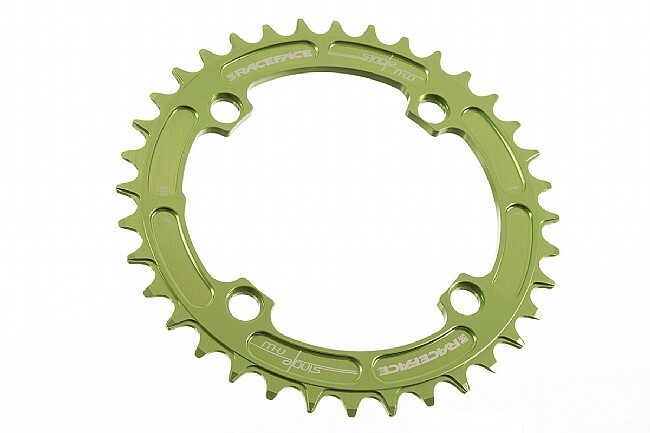 For anyone considering moving to a single chainring setup, these are worth a look. Available in 30, 32, 34, 36, and 38 tooth options. Black, Blue, Red, Green, Orange, and Purple. 104 BCD. The 30 tooth ring is threaded with a standard chainring bolt thread, please consult this hardware chart for correct bolt length for installation. Best product to use if ur going with a single ring set up. Put this thing through hell, drops, climbs, rock gardens not one dropped chain even without a chain guide.Best upgrade for under [$] bones, plus it looks sic on your ride!!! Light and seet! NO droped chains yet! Swapped easily from 2X10 ethirteen setup on the Mukluk. Looks great, lightweight and chain hasn't dropped or even skipped. Probably going 1X10 on my Niner and will get a RaceFace. 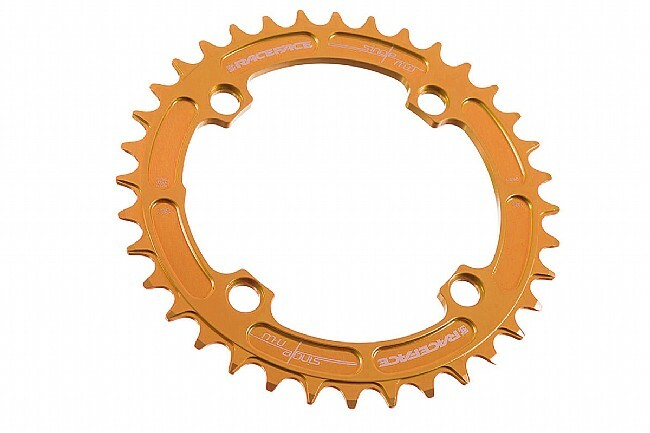 Great chainring to keep the chain on.